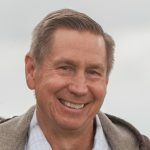 Mark Rose began teaching stewardship principals in 1985 and was trained as a counselor and coach by Christian Financial Concepts and Crown Ministries under the teaching of Larry Burkett. In this time he has taught hundreds these principals. He currently represents Compass Ministries in Oregon. Rose has also written a number of other best sellers including The Noah Code, www.noahcode.org Last of the Long Hunters,www.longhunters.org and other works. Rose owns and has founded a number of successful businesses and holds 6 foreign and domestic patents. He founded Two Masters in 2018 (www.twomasters.org) with the goal of training individuals and leadership in the principles of God’s Word relating to finances. He lives near Albany, Oregon.